Health care costs have been on the rise for decades. However, in recent years, the rate at which health insurance premiums have been rising is slowing. No matter what happens, though, the for-profit nature of our system means that health care costs are always going to go up. Investors expect to be paid, and that means prices will always be going up. But that doesn’t mean you can’t make moves to keep your expenses under control. 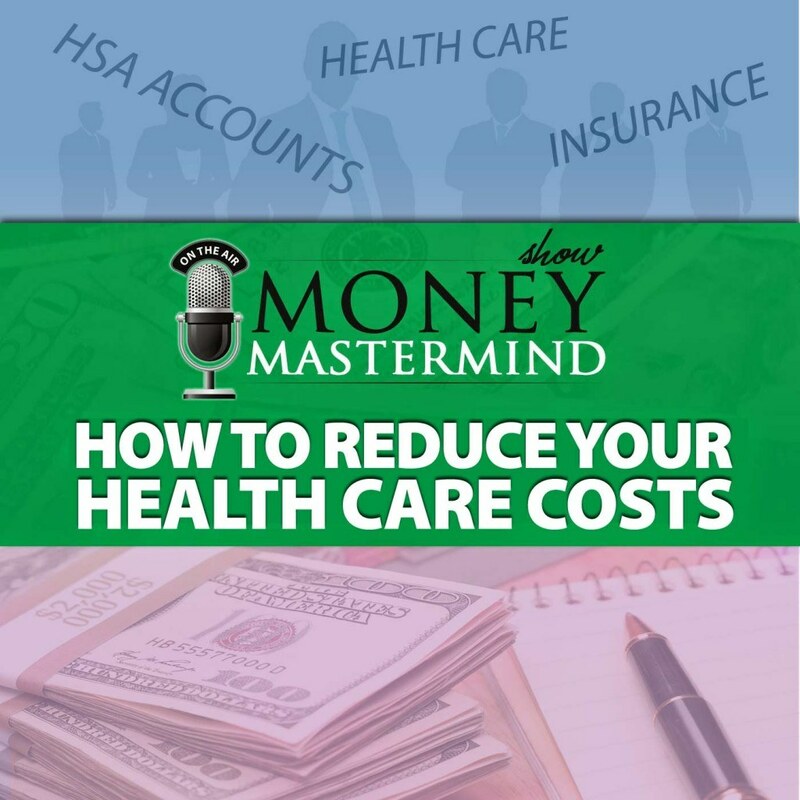 Jennifer Fitzgerald, the CEO of PolicyGenius.com, joins us to talk about the things you can do to reduce your health care costs. [0:00:19] GC: Welcome to the Money Mastermind Show. Healthcare cost aren’t just high, they can be downright scary. Tonight, we’re joined by Jennifer Fitzgerald of Policy Genius. Welcome to our show Jennifer. [0:00:30] JF: Thanks for having me. Glad to be here. [0:00:33] GC: Thanks for coming and helping us out here. 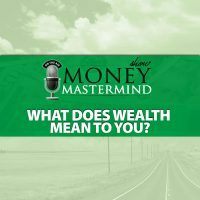 The rest of the Money Mastermind Show as most people should be aware by now but in case you’re not, we have Miranda Marquit of Planting Money Seeds, Peter Anderson of Bible Money Matters, Tom Drake of the Canadian Finance Blog and Kyle Prevost of Youngandthrifty.ca. He’s not here tonight but he is part of our panel and I’m Glen Craig of Free from Broke, your moderator tonight. Before we start, we do have an event page. If you have any questions regarding healthcare cost, how to cut them down, how to get by them, go to our event page and ask on our app and we’d be glad to answer your questions. Jennifer, healthcare cost are rising at an incredible rate. We hear stories all the time about how the cost are astronomical. How can the average person stay afloat with all these rising cost? [0:01:27] JF: Yeah, that’s a great question and one that’s a big concern. For the last 10 to 15 years healthcare cost have risen faster than inflation, so it’s a big concern particularly for middle class consumers and especially for people who don’t have health insurance for their employer and have to figure out how to get their own health insurance and navigate that mine field. The first piece of advice I like to give folks is to figure out what kind of healthcare consumer you are. Are you the kind that very rarely goes to the doctor and just wants a safety net in case something catastrophic happens or do you have conditions that you have to manage, you’re going to be a more frequent consumer and you have children, you know, who may need to go to the doctor more often. Figure out what type of health consumer you are as the first step in figuring out your healthcare cost. If you are a low frequency consumer, somebody who’s young, doesn’t have young kids to worry about and basically just goes if you broke an arm and I have to see a doctor, then you should look at high deductible healthcare plans. The deductible is basically what you have to contribute to your medical expenses before insurance kicks in and the higher the deductible, meaning the more risk that you bear, the lower your monthly premiums are. That’s the tradeoffs. High deductible means lower premiums. [0:02:51] GC: Like what a car insurance would be? [0:02:52] JF: Exactly. It’s the exact same relationship with car insurance. The more risk you bear because you think you’re not going to use the insurance less, the lower your fixed cost is going to be. On the flip side, if you want a lower deductible meaning you want your insurance to pay from the first dollar of healthcare expenses, you’re going to pay for that. The premiums are going to be higher but you are going to make up for that because you’re not going to have some big out of pocket cost. It’s really around figuring out how frequently you’re going to go use a healthcare system and choosing a plan accordingly. [0:03:32] GC: I get the whole, if you have kids obviously, your healthcare cost are going to be different or maybe if you’re a little bit older, is it fair though to say that you’re an infrequent person. I mean anything can happen and shouldn’t we be prepared for that? [0:03:48] JF: You should, absolutely. [0:03:50] GC: If you could wake up and then all of a sudden, you have an appendix burst and you’ve got a $75,000 hospital bill waiting for you or something craziness like that? [0:03:57] JF: Exactly. Now the nice things and one of the things that the affordable care act is done for folks is the law has placed a limit on the maximum out of pocket you can spend. If you have insurance, even with a high deductible plan, there is going to be a cap on what you’re accountable for. Before the affordable care act, there used to be no limits on that. If you has a health care plan that didn’t cover a lot or had a very low ceiling on what it would contribute, you could be in debt for hundreds of thousands of dollars potentially for something catastrophic or something like cancer. Now there are limits on that. Most plans are really going to max out at about $6,000 dollars for an individual in terms of out of pocket expenses. For a family, it’s usually double that around 12 or 13. It’s still a lot of money but it’s not the astronomical levels that it was before. [0:04:53] GC: I think if somebody’s not careful, that’s still a cost that could pretty much wipe out a lot of people. [0:04:59] JF: It is. So we like to encourage folks, it might be tempting to go to the high deductible plan because the premiums are lower but one trip to the emergency room, you’ll hit the deductible typically. The average cost of an emergency room visit is $10,000. If you’ve got a $6,000 deductible plan, consider whether you can afford that, but there are other things you can do to keep those cost in control. If you opt for a high deductible plan, which is anything with a deductible over a $1,000 you can sign up for a health savings account which allows you to contribute pre-tax dollars. [0:05:39] MM: That’s my favorite. I love the health savings accounts, it’s my most favorite thing. [0:05:43] JF: It’s a great strategy and one that’s under used by a lot of folks. You contribute pre-tax dollars, which your taxable income goes down which is great. Lower tax bill from April and you can use it for any qualified medical expense. You can use it on premiums, deductibles, co-pays, prescription drugs. On both sides of the equation, it will help you keep your cost down. If you have an employer, they’ll often create a flexible spending account which is employer owned. It’s the same deal except the employer owns it but you can’t roll over any money that you don’t use by the end of the year. That’s just one caveat of running a flexible spending account. [0:06:27] GC: It’s still completely lose it or use it. I mean remember something it’s been long since I’ve had one where there is a certain amount you possibly can roll over or is it you have to use the whole thing? [0:06:36] JF: The HSA’s you can roll over, the FSA is you’re going to use it or lose it. [0:06:40] MM: They extended the deadline for some of the money in FSA so that you can use it till later in the year and a certain amount of it can be used for later in the year but it’s still ultimately, at the very end of the day, it’s use it or lose it situation. I would like to go back and point out too, the Health Savings Account — The HSA. I know, all these letters just being thrown at people. But I would like to go back and point out that the health savings account, the one that’s yours, that you own, that you can take with you and that rolls over, the money grows tax-free as well as being tax deductible as long as you use it for those medical expenses. Even when you take the money out, you’re still not going to be taxed on it unless you’re using it for something that’s unqualified. [0:07:32] JF: That’s a great point, yep. [0:07:33] GC: Miranda, you just said the money is growing, where does that money sit? Because I know a lot of people who adjust for IRA’s and I know that’s a different subject, they get very confused about that and a lot of people say, “Well, I’ll invest in an IRA. Give me this IRA,” and they need to really understand that it really encompasses something different. What do we mean by an HSA? Where does that money go? How is it growing? What are we really putting that money into? [0:08:00] MM: Well it depends on where you’re at and who’s your custodian. For instance, if you do it through your employer like Jennifer was talking about, a lot of the time it just goes into a regular bank account and it just sits there and it’s mostly growing at a cash rate, a cash market rate but there are custodians that you can find where once you hit $2,000 in your HSA, you can actually then take any amount above that and put into an index fund. You can actually grow it faster if you want depending on where you’re holding it. There are private companies out there where you can and we can put them in the show notes, where you can go and you can look and you can get an HSA that grows a little bit faster. [0:08:42] GC: Okay, good to know. [0:08:43] MM: But then of course, you do have to realize that you’re at the risk of loses as well. You need to check your risk tolerance and figure out where you’re at. [0:08:52] PA: If you’re like my family, you had your HSA and that you can’t build up anything and you just keep getting sick a little bit in the emergency room like Jennifer is saying. We’ve already maxed out our family’s $6,000 deductible already this year. Right now, we’re actually going in for all the doctor’s appointments we can imagine just because A, we can, it’s all free at this point we’ve reached our deductibles. [0:09:14] MM: Hit the deductible. [0:09:19] GC: It sounds like with these particular plans, there is a bit of planning on the person’s side before you put the money into it. You have to be able to estimate what type of cost you might have. How does a person go about that? I remember just for an FSA, it wasn’t particularly a lot of money because I didn’t want to lose it but I did have to think about things like prescriptions or what types of doctor’s visits or if I was going to particularly buy something that might be part of the plan? When I knew I was buying glasses, I was able to put money towards that but how does a person get their head around planning for that in any of those plans? [0:10:00] JF: The easy thing is just take a look at your consumption over the past couple of years. If you’re organized and you keep track of your bills and I know a lot of us don’t, you’ll have to just sit and go through that. If you use any centralize appointment making software like ZocDoc, which I use to find doctors, make appointments, make sure they take my insurance, I can actually go back over the course of the year and see actually how many appointments I did make with my general care physician or anything with the specialist. That’s a good record keeping to see how frequently I’ve been to the doctor. You should be able to see from your bills from the previous year, to see what prescriptions you’ve filled. Unfortunately, there’s no easy way to do it. If the owners is new to be organized and keep track of those bills but you should have a general sense of what kind of consumer you are and whether you have any chronic conditions that you have to think about and manage. [0:11:01] PA: One thing that I think about too is, I think a lot of people are in for a rude awakening in this coming year just because of the rate increases that are going to be coming down the pipe. We’ve in the Obama Care for a couple of years now and the insurers are starting to see what the true cost are and everything. [0:11:56] GC: Now, you’re talking about the rates if you have an ACA account or just all across the board, who really needs to look out for this? [0:12:08] PA: I think that was for the Obama Care eligible plans, the qualified health plans. That means it would be qualified for tax credits and so forth as well. [0:12:21] GC: Those are some pretty significant jobs. [0:12:23] JF: Yeah, it’s also across the board even for employer sponsored health insurance, those cost are going up as well. If you work for an employer where you have to make contributions towards your premium which is the case for most folks, those will typically be increasing as well. [0:12:43] MM: Well and I think everybody seems to act suddenly. All of a sudden out of nowhere in the last two years, we have suddenly seen this rate increases. The reality is we’ve been seeing rate increases for health insurance every single year for, I don’t know, since the beginning of time? Since they decided to make it a four profit situation back in what was it? The the 70’s, basically we’ve had health insurance increases since then. I think they been slower in the last couple of years so maybe this coming year I guess they’re catching back up to where they used to be. [0:13:23] GC: What drives this increases? I can get my head around mortgage increases or student loan increases but what is it that causes health insurance to go up so much? [0:13:37] JF: Any number of things. The big drivers are the rising cost of healthcare technology like the new procedures, expensive procedures and new prescription drugs. Right? When the patent wears off and there’s generic versions, that will drive up the cost as well particularly like advance conditions that can command higher drug prices because of the way that the payer system works in the US where you’ve got the patient, you’ve got the doctor, you’ve got the insurance company and a lot of times, you’ve got the employer in there as well. You’ve got a lot of stake holders sometimes with misaligned incentives that can encourage people to go to the doctor more often when they don’t need to or people are over insured a lot like young people who work for employers. Like my old employer, we had very rich healthcare benefits so it encourages younger healthier people to go use the system more often because we had great health insurance. There is just a lot of misaligned incentives as well that drives up consumption. One thing that doctors like to talk about as well is defensive medicine and the system of litigation and lawsuits and ordering test to CYA, that will drive up cost as well. Any number of these factors will drive it up. Also, our population is getting older, people are living longer so you’ve got the right tail of the population using a lot of expensive health care procedures and prescription drugs. All these factors create a perfect storm for cost continuing to go up every year. [0:15:13] MM: Right and let’s not forget that they’ve got a return value to their shareholders and we’ve got CEO’s with hundred million dollar — sorry, I’m yelling again! We can’t forget that the CEO’s make a 100 or 200 million dollars a year. We can’t forget that as well. [0:15:31] GC: I can’t help but think of a story and its little dental here, was it somebody in the hedge fund that bought the rights to a medicine? [0:15:40] JF: AIDS drug, yeah. It’s AIDS medication. [0:15:44] GC: Yeah, that just seems all sorts of icky and bad. [0:15:49] MM: Here I go yelling again because that’s what I do when we talk about healthcare. [0:15:56] GC: Let’s forget the panel, you know we need a yeller. [0:15:59] MM: “Miranda yells about things!” Well I mean just back with the drugs and they’re always whining about research and development but when you look at their marketing budgets, their marketing budgets are, what is it? I think it was 75% of their budget that goes to marketing and I think 15 to 20% goes to RND, so there you go. [0:16:22] GC: It’s interesting about that. [0:16:25] MM: We’re in a four profit system like Jennifer said, all these stakeholders need to make their money. [0:16:32] JF: Yes, you talk to folks and I have a lot of European colleagues and they’re like, “I never saw primetime commercial for prescription drugs until I came to America. That’s crazy”. [0:16:43] GC: I think what’s really crazy is that when you watch these commercials, you don’t even know what they’re for. [0:16:48] GC: All you do is just see this kind of like cloudy sort of haze and then the last part of the whole commercial. It seems like most of the commercial is just, “This is what could happen to you if you use it” which is good. It might do this for you which is good but then all of the stuff that’s being happening at the back, you might not know it. [0:17:10] MM: We went to the doctor to have a wart removed from the bottom of my son’s foot because he was complaining about it and they did the nitrogen spray on it but it was so uncomfortable and so painful that he was like, “No, this is worse. This is worse, the cure is worse than the affliction.” That’s what it seems like with a lot of these drugs that the cure is worse than what you’re suffering from. [0:17:32] GC: And we’re paying through the nose for it but we’re getting a little off topic here. That’s a whole other political episode that we could be talking about. This time of the year and just in general, people shop for health insurance, maybe they’re looking to switch insurance because maybe they can do that now with open enrolments or maybe there’s people who are there on their own the first time, what should people look for? How do they even start to go about trying to pick something? Like I had a job where I only had three choices, well that was pretty easy but I know other places you can get a long list of ten different plans to sign up for and it’s dizzying and for people who aren’t even covered by employers, if you’re going out on your own, where do we even start? [0:18:27] JF: Sure, the first thing that I’ll tell folks is figure out what you’d be comfortable spending monthly in terms of premiums. The average American spends around 5% of their income on health insurance premiums. You can use that as a rule of thumb. The un-affordability threshold that the Federal Government uses is around nine to 9.5%. Use between five and nine as what you could anticipate spending in health insurance premiums. If you’re shopping for yourself on the affordable care rate exchanges, things that are arranged from the middle tiers of platinum, gold, silver and bronze so you could actually look at the expected cost of each tier, figure out what you want to play. We did a study last year that 5% if you make 70K a year, usually lands you squarely into the silver tier. There are some high deductibles in the silver tier but you can good coverage there. There are typically two types of knockout criteria. Once you figure out what you want to pay, two knockout criteria that folks should consider is, do you have any doctors that you must keep? I refuse to take any plan that my doctors doesn’t accept in which case, that will narrow it down pretty quickly. Confirm with your doctors that you really want to keep, what plans they take and from there, usually most providers will have different tier plans like the silver or gold option. It’s the same thing for your prescription drugs. If there’s any prescription drugs that you need to keep, figure out what the coverage level is among the different plans. Those are the two knockout criteria. Then it’s really around optimizing for cost there. Most plans now will show the total expected cost in a year including premiums, the deductible and assuming what is the average you can expect to pay, what’s the most that you could pay for healthcare in a given year. You just have to figure out what you’re comfortable with in terms of the risk that you’re going to bear and your monthly cost. There is an alphabet soup of different types of plans. You’ll see HMO, EPO, PPO and you’re like, “What the heck does these all mean?” Basically, PPO’s are going to be the most expensive of the three types of plans. PPO’s allow you to get care out of the plan’s network usually at a higher co-pay or a lower reimbursement rate but you don’t have to stick to the plans to find network. With the PPO, you also don’t typically need to get a referral to see a specialist. You can just make an appointment directly with the specialist. PPO’s provide the greatest flexibility but that will come at a premium. Typically, the most cost effective plans at a given metal tier are HMO’s. HMO’s have a strict network. You have to stick with the network. If you go outside the network, that’s not going to be covered by the insurance and usually, you have to designate a primary care doctor who’s going to coordinate your care. You’ll have to get a referral from your primary care doctor to go see a specialist. HMO’s use this kind of referral system and the primary care doctor is the gatekeeper to keep costing under control. Less flexibility but typically, you’ll save on premiums. In the middle, if you want a hybrid of the two are the EPO’s. These are exclusive provider organizations. Again, there’s going to be a network that you have to stick to but you have a little bit more flexibility and that you can typically go see a specialist directly without needing to go and get a referral from your primary care doctor. Again, depending on what you value most, do you value keeping cost down or flexibility in terms of network and provider? You’re going to have to weigh up those two criteria to figure out what kind of plan you want. [0:22:40] GC: Now, I like that you talk about how you want to check your doctor and make sure that they’re in the plan first because I think that might be a mistake a lot of people make. They sign up for a plan that seems really good and then they find out their favorite doctors aren’t in the plan. I don’t know if it’s necessarily within your wheelhouse but we can throw it out to everybody here but my issue is, how do you even know what a good doctor is? To me, it’s almost hard to find a good doctor than it is to find a good mechanic because you can talk to your neighbors and say, “You know Joe down the way, he’s great with transmissions” but we don’t talk necessarily like that with doctors. How do you know who to even find? [0:23:24] JF: If you go online, I’ve seen doctors on Yelp. I don’t put too much thought on that but there are healthcare specific type rating systems. I think Health Care Grades is one where you can get them. [0:23:39] MM: Yeah, health grades, healthgrades.com, yeah. [0:23:41] JF: Which tends to be pretty good. Again, it sounds like I’m endorsing them but I use ZocDoc for a while but they also have patient reviews from verified patients who’ve seen the doctors. In my experience, it’s just who I feel comfortable with. Does the doctor listen to me, does he or she feel credible, am I rushed, am I waiting three hours before I get seen and all those sorts of things. I found that referrals from people that I trust or as anything, the best source for who I like as a provider. [0:24:19] MM: Yeah, I was just going to say I just moved. I mean I move back to my home town and well, “Who do I take my son to? Well, I will take him to the doctor that my parents took me to when I was growing up because he was still practicing,” and then I ask my mom, “Who’s the lady doctor you go to for your lady things,” and so that’s who I’ll go see. I think referrals are probably one of your best ways to go about things especially if you’re going someplace where you know people. [0:24:49] GC: I’ve also found that if you have one particular doctor that you’re very fond of, that doctor can probably refer you to another doctor. If that doctor is good, he might be a part of a network or know some other good doctors that are good as well. You can always ask them for references too. It’s not perfect but at least it gives you a starting point I think. I just think that it’s important to have a good doctor because if you’re not keeping healthy, one, what are you really paying for in your plan? And two, the whole idea is to stay healthy to keep cost down. If you’re not using it because you’re either not fond of your doctor or whatever it is, accessibility, it defeats the whole purpose. That’s just the gripe on my part. Is there a minimum health insurance that’s required that people should look for? [0:25:53] JF: By law under the affordable care act, you do have to have qualified plan unless you can’t afford one and you meet the income criteria at which case, you typically become eligible for MedicAid. For folks under 30, there is a special level of plans available. They’re super high deductible, they’re called catastrophic plans that is basically to cover you in case something catastrophic happens but those are only available to people under 30, I believe. If you’re shopping on part of the carat exchange and not on Medicaid, the minimum is bronze plan, which is the lowest tier of coverage and typically, bronze plans will pay I think around 60% of total healthcare cost and you’ll pay 40% of that. [0:26:50] PA: I think with that thing too is, some people that I talked to have actually done a crazy thing where they don’t get insurance and they just pay the penalty and if they don’t realize that that’s actually going up this year too. The first year is $95 which is not a big deal, the next year is $325 if you don’t have insurance and then next year, it’s almost $700 or 2.5% of coverage or along those lines. [0:27:19] MM: It’s important to know that that’s for the people in your household, each person in your household that isn’t insured. That not for your whole family, it’s for each person in your household that’s not insured. [0:27:33] GC: When you say that every kid, every person or sometimes they don’t count kids as full on people. [0:27:42] MM: Sometimes I don’t count my kids as a full on person — no. [0:27:44] GC: Again, another episode perhaps for a thing like that. Like a family of four, you’re talking about three in change like everybody said, that starts to add up quickly then if we’re not looking to not get the insurance and pay the penalty? [0:28:03] PA: Yeah, that’s capped ar something. Capped or triple that per person tax or something along those lines. [0:28:10] MM: Yeah. I have to look and see what it is. [0:28:14] PA: It $85 per family in 2016 or 2.5% of it so there we go. [0:28:22] GC: Are there any common misconceptions people have about health care that maybe need to be dispelled? [0:28:32] JF: I think one thing that was surprising to me when I learned it and this is a money saving tip is that something around 80% of medical bills will have an error on it. It’s incredibly high. I would not be surprised if most of those errors were in favor of the doctor and against the consumers. [0:28:54] GC: It’s a funny coincidence, right? With those errors only go in one way. [0:28:58] JF: That runs in your favor right? [0:29:02] PA: They developed maxi-cleans. [0:29:05] GC: Just like surgery but here’s 10 grand go for it, yeah. [0:29:09] MM: There is a site called Medical Blue Book that has a list of different codes because if you look at your bill and you ask for an itemized bill, there will be all these little codes next to it that put in how much it costs. If you go to the site, you could actually look at it and get a general idea but one of the things that go along with this costing that I was really shocked to find out was procedures cost different amounts depending on where you go even the same procedure. They did a study a couple years ago that even showed the disparity and cost from one hospital to another hospital in the same town was sometimes thousands of dollars. It was insane and then of course, if you get something done in a small town versus going to California or something to have something done, you’re going to see a big difference in cost as well. Being able to shop around is a big thing. [0:30:16] MM: It has nothing to do with that. [0:30:18] GC: I mean you’re saying that some hospitals are just more expensive maybe for whatever reason. [0:30:22] JF: Yeah, it’s arbitrary and even in the same zip code, there was some study that there was one MRI lab across the street from another MRI lab and the same procedure was thousands of dollars different just arbitrarily. That’s probably one thing that people can do, you can shop around especially if it’s not a life threatening procedure like you need an MRI, you need lab work done, you can shop around especially if you got a deductible and those cost are hitting you directly. [0:30:58] PA: That’s something that if people have an employer health insurance, a lot of times they will provide you a service or something like that, they will shop around for you. You can say, “Hey, I need to have this MRI done, can you find me a place relatively close to me that is the lowest cost for this MRI?” because it’s going to mean basically the same thing no matter where you go. [0:31:22] JF: There are a couple of health insurance companies now that will have an online database as well. You can put in like, “I need an MRI” or a lab procedure done and it will show a list of providers in the network and what the cost is. There is a big difference between going to an urgent care clinic for something versus the ER for something. It will show you what those expected cost are. That’s probably the biggest way that folks can keep their actual bills down is to shop around and be smart about what facility you’re going to for and the care that you’re seeking. [0:32:00] GC: It’s interesting when we’re talking about shopping around and I think maybe we’re talking on a local level. I have certainly heard a lot about travelling to get procedures done. I think Tim Ferriss talks about this like you go to other countries and for the price of getting a procedure and going on a vacation in somewheres else, it still ends up being a lot cheaper than just getting a procedure done here. Does anybody know a little bit about that or how effective that can be? [0:32:33] MM: Well personally, the only thing I have is my grandpa who lives near the Mexico border used to sometimes go to Mexico for his prescriptions or for his eye doctor appointment or his dental appointments. I know people go and have major surgeries in India or something like that but the ones but the ones that I personally know just went down to Mexico to have dental work and eye appointments and get their prescriptions. [0:33:07] GC: Is that something that’s perfectly legal to go somewhere and say, “Hey, I’m going to get my back surgery done there” or whatever it is? I know our friends to the north of Canada there, there healthcare is relatively cheap or maybe non-existent as far as price compared to us. That’s not something that we travel to but it’s just interesting how other countries have different cost. [0:33:31] TD: With Canada though, yeah I think I’ve heard of traveling you’d probably pay the same because I don’t think our cost are any lower. They’re just paid for publicly but I know talking to a lot of Americans, one of their misconceptions is that everything is covered for us and it’s this free for all but it’s just the regular doctor visits and hospital visits and that kind of real necessary stuff. [0:34:00] GC: You can’t get the Kim Kardashian special in this and get it done over for free? [0:34:06] TD: Yeah, no fake parts for free. [0:34:11] TD: But it was very similar about the specialists. We do need referrals for that. I didn’t realize it was to keep cost down. I thought that was just because the doctors knew better than me all the kind of specialist stuff I need to see but if you’re paying to see a dentist or get glasses or any of that prescription drugs, that we pay for and it’s very similar to some of the stuff that you guys were discussing about maybe having employee benefits or paying Blue Cross or Sun Life or something to get some kind of benefits because otherwise, yeah we may not pay thousands of dollars for a hospital visit but you can pay hundreds of dollars for a small little bottle of pills. We still have this need for benefits. [0:35:03] GC: Do you have separate plans for each of those out there as well or is it may be on a different scale? [0:35:09] TD: Similar ideas, as far as I know, we don’t really use the gold medal kind of scale but we have the same thing where we have the different tiers and you might have 80% coverage, 90% coverage and 100% coverage and pay more to get into those. But in no way does it give us extra access like how you were talking about seeing a specialist directly. You can’t buy your way into extra access like that. Your insurance is only giving you that extra sort of protection for having to pay for it for yourself. The biggest thing that I was just taking in this show so far is it’s not that you guys have to pay for it, it’s how complicated it sounds. All these different plans and insurance and stuff, ultimately we’re both paying for it because we pay for it through our tax list and it’s not about the money. I think it might just be the simplicity of if you don’t feel well or if you need to see a doctor for some reason that the money equation is out a bit and there’s no complication, you just go see them. [0:36:17] GC: I think on average for most people, the complications aren’t that great. If you just go into a doctor, you maybe just seeing some specialist, usually just go there, you pay your co-pay and you never deal with it again. In my criteria, that’s what most people has experienced it here as well. I think for me, it gets complex when you either have maybe one office that doesn’t have good accounting or if you have a surgery of something specialty done and now you have all these different factors coming in like hospitals sending you bills and different doctors sending you bills. Then your insurance sends one bill and they’re looking to find out if you’re double coverage somewhere else. Then it gets very inundating and then this one says that you have to pay this much amount of money and then you have to back it up. Then it gets very complex which is certainly mind boggling. [0:37:15] PA: You want to actually figure out all these stuff before you need to know it because otherwise, you end up in a situation where like two years ago with my wife, where she ended up having a massive blood clot and ended up being in the hospital for a month. We’re in the middle of trying to save her life but at the same time, we’re having to think about all these health insurance issues and if the doctor’s covered or not. You don’t want think of those things when you’re in a health crisis. You just want to say, “Yeah, give her the best of whatever and get it taken care of,” which is what we ended up doing and thankfully, we had good insurance at the time and it covered over $250,000 worth of expenses. That’s why you need to sit down beforehand actually think about, “Okay, if this scenario comes up, what am I going to do?” or whatever. [0:38:07] GC: That’s a crazy thing. Why should anybody have to make that thought when something like that is presented to them? It’s like, “Sorry honey, you know what? Maybe not this year. We’ll just get part of that liver fixed,” or you know what? It’s insane. I had a thought just as I was thinking that and it’s gone so I definitely need to see a neurologist or something about that. [0:38:38] MM: Well, I have all sorts of thoughts but then I’ll start yelling again so. [0:38:42] GC: Let’s talk about other forms of insurance. We’ve talked about healthcare and we think about health everything but do people need to consider or look into like dental, is there hospital insurance, are there any other insurances that maybe we need to be aware of that we’re not thinking of? [0:39:03] JF: Sure, dental and vision are the ones that most frequently come to mind. If you’re actually looking at the whole suite of products or not must haves, that’s predictable. You know if you need the correct lenses, what’s that budget going to be and it doesn’t typically save you too much. You’re just paying out of pocket for it. It’s the same with dental insurance. There is actually dental discount plans and we did a study of which is actually better for you and how much money you would save on dental insurance versus a dental discount plan. Depending on the kinds of procedures you have in a year, actually you could come out better ways but nobody’s ever gone broke over unexpected dental expenses. If you have the forego dental insurance, the out of pocket cost are much more manageable and predictable than if you have to go to a hospital or you had a situation that landed you in the hospital for a month. One other type of insurance that has been growing a lot in the US and was pioneered in the European and South African markets is critical illness insurance. This is insurance that will pay you a lump some that is typically anywhere from 20 to $100,000 in the event of a critical illness diagnosis. It’s typically like heart attack, stroke, invasive cancer and that will help defray the cost if something like that happens. It’s catastrophic, not only will you have high health care cost but you probably won’t be able to work for a while. These policies have been growing in popularity. They’re pretty if you’re young, good health history, they’re pretty affordable. You can get them anywhere from 20 to 60 bucks a month just to have that peace of mind in case. It’s a nice compliment to hide deductible plan because if you’re 29 and picture perfect health but you want to have something just in case. A good friend of mine when we were law school, she was 29 and got diagnosed with very aggressive breast cancer. You never know when that strikes so critical illness is something that’s been growing in popularity and it’s a pretty affordable coverage. Disability insurance, usually large employers will offer short term and long term disability insurance. We always suggest to folks particularly at the beginning of their careers to look at the disability coverage. It’s the one thing that people forget about. Everybody always thinks of health insurance and when you get sick particularly with cancer or things like that, it’s not just the hospital bills, it’s the fact that you can’t work for two, three or four months. Once you exhaust your pay time off and your sick leave, then you’re without a paycheck. Actually extended medical illnesses, there is a Harvard study done a few years ago, it’s the number one cause of personal bankruptcy filings. It’s the big driver behind home foreclosures of people who were unable to work because of extended illness. Disability insurance replaces your paycheck if you’re unable to work. That’s a big hole and a safety net as well. When you’re thinking about health, it’s not just the hospital bills and the medical bills, it’s also what if you can’t work which is something that happens much more frequently than we’d like to think about. [0:42:30]GC: I’d imagine similar just like to life insurance, a lot of people probably don’t take advantage of that when the cost are low. [0:42:36] JF: Yeah, exactly and the younger you are especially on disability insurance. If you lock in a policy when you’re young, when you’re healthy, you can actually lock that premium in for your whole working career. The contract if you got a non-cancellable one, you actually lock in that premium for the duration of the contract as long as you pay the premium. [0:42:59] GC: That’s sounds definitely something that people should investigate, does that sound good to be able to lock in the low cost there. You’re talking about just coverage for long term care and for other coverages like cancer type of thing or catastrophe, is that something where like a company like Aflac or something like that comes into play? [0:43:23] JF: Yeah, so Aflac is the most well-known provider. They only provide in the workplace, they only do group plans for employers. You can’t individually go and get an Aflac plan but there are individual providers of critical illness and disability insurance. You can go and get one of those policies to supplement your health insurance. It’s something that’s advisable, one, if you have low savings as well as a high deductible plan, that’s something to think about the things that would trigger you needing to pay your entire deductible. It would be something that lands you in the emergency room or a catastrophic illness, those can be good supplements for low savings and a high deductible plan. [0:44:11] GC: We talked about bills and how complex it could be a little bit earlier. How negotiable are doctor bills? Some people say especially in the personal finance realm, negotiate everything. Are doctor bills and doctor procedures negotiable as well? [0:44:32] JF: I’m a terrible negotiator but they actually are. I’ve read a study that something around 50% of the time, if you ask your doctor for a discount, you’ll get something so it doesn’t hurt and they are negotiable and typically, a doctor, because they have to deal with so many different payers and insurance companies, Medicare, Medicaid, they basically have a different rate schedule for the exact same doctor visit and procedure. For example, you want to pay out of pocket so his office don’t want to deal with the insurance company, you might be able to get a better rate so it certainly doesn’t hurt to ask and negotiate if you can get a better rate on the services. [0:45:24] GC: Yeah, one thing that I found a little crazy is when you do see some bills, it tells you what the doctor’s office has asked for and then what they get. Like a dentist might say, “Oh yeah, we ask for $300 per filling” and the insurance covers $25 and you’re like, “This is disparity.” It just seems another inefficiency in the system like they just automatically asking for so much money. It makes sense that you can negotiate it because it’s built in and there’s going to be some fluff for lack of a better word. Jennifer is there anything else that you think the average person needs to know about insurance that maybe we haven’t covered? [0:46:07] JF: Well I think we’ve covered a lot of it but the other thing that we didn’t touch on in addition to negotiating and asking your doctor for a discount drugs, the big cost saver is using generic drugs when you can and there are a lot of pharmacy discount programs you can sign up for. Mail order prescriptions are typically cheaper than going to a pharmacy to fill it. And you can even actually shopped around different pharmacies. Not all pharmacies are created equal so you can actually shop around for pharmacies as well to see on your prescriptions where you’re going to be better off. [0:46:47] GC: Is there a legitimacy if I see something online that says cheaper whatever to that or are there legitimate companies that work online or am I just seeing some weird kind of scammy ads? [0:47:00] JF: You might be seeing both but there are certainly legitimate mail order and online ordering for your prescription drugs. [0:47:09] GC: Okay, so you’ve got to do your homework and your research as with anything I guess. [0:47:15] PA: Or a better viable Viagra from China, that’s one of them though. [0:47:28] JF: Selling you Herbalife? [0:47:30] GC: Yes, so I just got to throw it out there just to be safe. One thing that we do on the show here is we like to wrap up with a final word. Our final word on saving on health cost, we’ll start with our Canadian who maybe just by the nature of where we live is his final word but we’ll see. Tom, what’s your final word? [0:47:50] TD: My final word is just to plan ahead. Here in Canada, it is just sort of, “Do you have employee benefits?” and if not maybe look into some other insurance. Down there in the States it sounds like you have a lot more planning to do but certainly, Peter mentioned it too, you don’t want to wait until you’re in the situation to figure out what you should be doing and how you have to handle everything. Like with any insurance or any kind of planning just do it ahead of time when you’re a little more clearer mind. [0:48:22] GC: Peter, your final word on health care cost? [0:48:26] PA: I already mentioned it but yeah, just sit down and think about these things before you have to and a good time to do it is during the enrolment period for your company’s plan and that’s something you have. Sit down during that time, figure out what you paid for healthcare cost in previous years and go from there. Figure out what your healthcare needs is going to be and then chose a plan based off of that. Think about all these things before you need to. [0:48:54] GC: Miranda, what’s your final word on healthcare cost? [0:48:58] MM: I think one of the things that we didn’t touch on a whole lot are the payment plans that sometimes different medical places offer you. Before you get into a payment plan, make sure you understand what is involved because in your mind, you’re probably thinking, “Oh, I just divide it up if it’s 200 bucks and I need to pay it off over four months, it’s just 50 bucks a month,” and that’s what you’re thinking in your mind but a lot of the time, these guys are actually extending you a line of credit and it’s a loan. You definitely need to be aware of what your payment options are and what’s really happening when you agreed to a payment plan and this happens a lot especially with dental visits right now. Pay attention to what’s going on and the payment options that you have and make sure you understand whether you are actually getting a loan or whether you are setting up an instalment — a non-loan instalment plan. [0:49:56] GC: Good advice because I imagine if it’s something like a credit loan, you could be paying 20% or so just like using your credit card? 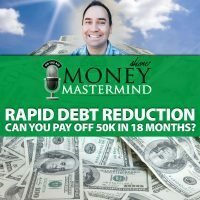 [0:50:02] MM: Or you may not even realize that it’s a loan and if you miss a payment, well it’s going to impact your credit score not as much and that’s a completely different episode but yeah, it will affect a lot of things if you’re not careful. [0:50:18] GC: Jennifer, if you’ll close out a final word on best ways to save money on healthcare cost? [0:50:24] JF: Sure. I think just be realistic about what you’d like to pay and what you think you’re going to pay. The sad thing with healthcare is you’re going to pay something, you’re probably going to pay more than what you’d like, so be realistic about that and think about what causes you more stress. Is it a high fixed cost or a high end predictable cost? Let that guide your decision and just take it as the given that you’re going to pay something and make the best decision optimizing around that. [0:50:54] GC: Thank you so much Jennifer. For those people out there, can you tell us a little bit about what you do and a little bit about Policy Genius? [0:51:01] JF: Sure. I am the CEO and co-founder of Policy Genius. We’re a company that’s been around for a couple of years and our mission is to make the process of shopping for and getting advice and buying insurance as easy as possible for the digital consumer. We have created great content, we’ve got advice tools online, and we’ve got instant quoting for a lot of products, not health insurance yet. That’s one of the new products that we’ll be adding in the upcoming months but we’ve got life insurance, disability insurance and a few other lines as well. We really want to take this whole mystery and pain and frustration and stress around insurance, demystify it and make it transparent. Make it easy to just get what you need for your family and just get on with life. [0:51:44] GC: Thanks a lot Jennifer and thank you again for sharing your knowledge with us and our viewers. For everybody out there, until next week, be good with your money. Good night. 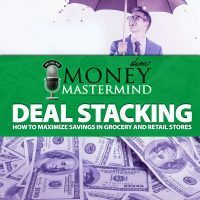 ANNOUNCER: Thanks for joining us on the Money Mastermind Show, get more information at Moneymastermindshow.com. Don’t forget to subscribe to the show on iTunes and YouTube and follow us on Google Plus. Why are health care costs on the rise? Is there any way to stop these costs from rising? What are some of the ways that you can limit your own costs for health care? What are the pros and cons of different health insurance plans? Tips for paying for health care costs. What you need to know about the Affordable Care Act (also called Obamacare). ← MLM: Business Opportunity or Scam?